REN is a skincare brand that cares. Their philosophy of ‘Clean Skincare’ can be summed up in three words: Performance, Purity, Pleasure. The beauty of REN products is that they’ve all been created with 100% plant and mineral derived active ingredients (none of that unfriendly, synthetic stuff), with pioneering product formulation and rigorous, clinical testing to deliver products that truly perform. REN lead the world when it comes to natural skincare innovation, bringing healthier, beautiful skin to all. 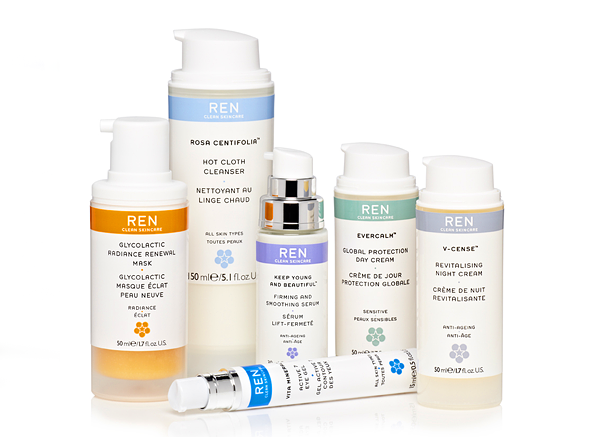 One of my favourite things about REN skincare, and perhaps what distinguishes the brand from others at the same price point, is their approach to ‘Clean’ skincare. By clean, they mean modern, sophisticated, effective and pleasurable-to-use products that are completely free from synthetic fragrance, artificial colour, petro-chemicals, silicones, sulphates, parabens, animal ingredients and much, much more! The experts at REN and go to great lengths to ensure their products are 100% natural, organic, entirely recyclable and, most importantly, effective. What’s suitable for all skin types? To begin our foray into the world of REN, we’ll start with the things that everyone can use no matter your skin-type or individual concern. The stand-out product in this category (and something that’s been really raved about recently) is the brand new REN Flash Rinse 1 Minute Facial, a transforming treatment that does exactly what it says on the tin. In just 1 minute, your complexion is re-energised and rejuvenated as if you’ve just had a facial at a top spa. This is a very indulgent treat, formulated with potent water-activated Vitamin C to seriously brighten and remove the dull, grey tint that skin acquires in polluted urban areas. This is a must-have in a city girl’s beauty arsenal! A word of caution though, if you’ve got skin that’s prone to sensitivity this might not be for you. Next up we’ve got the Rosa Centifolia range, a bevy of beautiful products kind to all skin types. A particular beauty however, is the Rose Centifolia No 1 Purity Cleansing Balm, a sweetly-scented, rose infused cleanser that calms, soothes and purifies. The rich, creamy balm emulsifies into a gentle milk when added to water, as if by the magic of the Skin God. The best thing about this cleanser is that it will remove every single trace of your make-up, including gross grime and dirt, in one fell swoop of the complimentary muslin cloth. Even stubborn waterproof mascara is eradicated swiftly. If you’re still unsure about the whole balm cleanser thing, but would like to give it a whirl (I was convinced that they would make me break out before I was converted) this is a wonderful compromise as you won’t be left with a thick, oily paste to wipe off after use. It’s a great entry-level balm. Sensitivity is characterised by reactive, red blotchy patches, signs of eczema, dermatitis and psoriasis, or skin that’s frequently tight, dry or permanently flushed. REN’s Evercalm range is your sensitive skin’s new best friend, as each product in the range has been created with a clever range of bio-actives to calm, strengthen and gradually train skin to be less reactive. Your skin will learn to play nicely with others! If you’re fighting a long, weary battle with redness, then arm yourself with Evercalm Anti-Redness Serum, which will strengthen capillary walls and defend against inflammation, irritation and visible redness. The silky lotion will boost cell lifespan and hydration, whilst replenishing and visibly improving skin tone and texture thanks to an infusion of skin-plumping Hyaluronic Acid. If you’re fed up of looking like a blushing schoolgirl, then grasp this wonder serum with both hands and don’t let go! 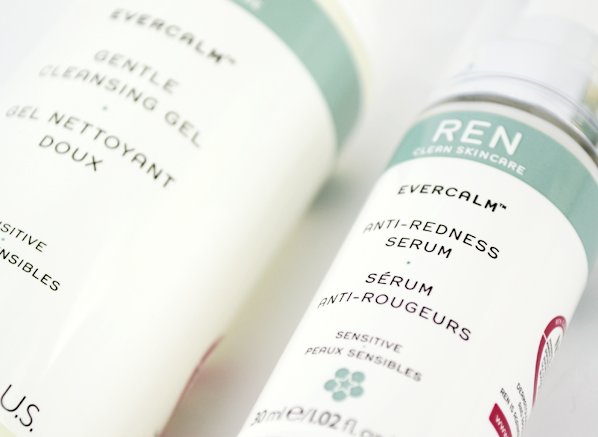 We can’t have a REN sensitive skin round-up without mentioning the Evercalm Gentle Cleansing Gel. This much-loved facial wash is extremely gentle for skin that gets angry at the mere mention of new skincare. Its gentle formula of Beta-Glucan, prebiotics from sugarcane and Chamomile Flower Water will remove dirt and pollution to refresh and soothe skin that needs a bit of pampering. What about those of us with Combination Skin? Those with combination skin will know the pain of a seemingly constant shiny T-zone. Skin that’s as congested as a cold, as dehydrated as a desert lake, and as dull as a grey winter’s day. 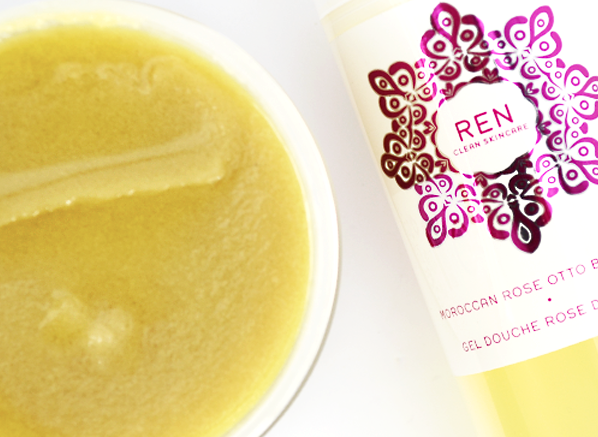 If this sounds like you, then the REN Clarimatte range is what your heart desires. Being a combination girl myself (who has gone through more than my fair share of products promising perfectly matte skin) there’s two products in particular from this range that call to me. Firstly we’ve got the Clarimatte Clarifying Toner, an alcohol-free toner (yay, no skin stripping! ), formulated with a range of hard-working fruit acids that get right in to unclog pores of dirt and other impurities, whilst sloughing off dead-skin to reveal a clear and even complexion. Best of all, an infusion of Flavonoids extracted from Mayblossom minimise the appearance of future breakouts, reduce sebum production and shrink pores for a complex that looks as gorgeous as it feels. Simply great stuff. Secondly, we have the Clarimatte Invisible Pores Detox Mask, a godsend to those who fret about the size of their pores, suffer with blackheads and suffer frequent breakouts. This ultra-detoxifying mask has been enriched with French Clay to draw out impurities, natural proteins to restructure skin and essential fatty acids from Red Tea to reveal plumper, softer and smoother skin. 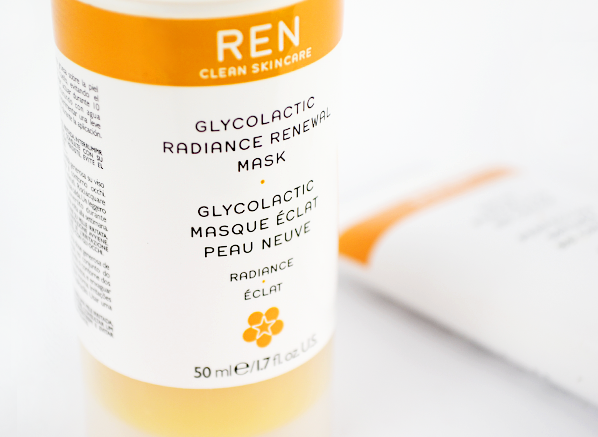 Try it with the REN Glyoclatic Mask and you’ll be amazed. A REN best-seller that you won’t regret! In fact, I bet you’ll even re-purchase. Anti-Ageing is my concern. What’s REN got for me? If your skin has already begun to show the visible signs of ageing, be it fine lines, wrinkles, loss of tone or age spots, then the REN Bio-Retinoid range is for you. If you’re simply concerned with holding off these signs of ageing for as long as remotely possible, then the REN Keep Young and Beautiful is where it’s at. All of REN’s anti-ageing products incorporate cutting-edge cosmetic bio-active technology and the finest ingredients available to address the specific needs of ageing skin, particularly a loss of firmness, wrinkle reduction and skin pigmentation. 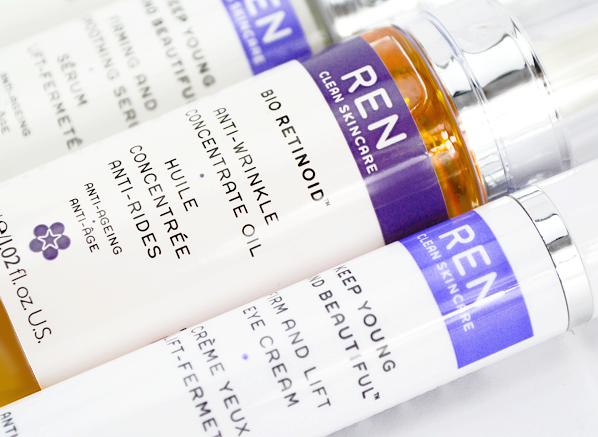 The REN Bio-Retinoid Anti-Ageing Concentrate Oil is REN’s best-selling product from this collection. This facial serum has a silky, lightweight oil texture and is jam packed with pure, potent 100% nature-derived Vitamin A, Pro-Vitamin A and Retinoid Analogue that puts on its armour and charges into battle against ageing, bequeathing you the victory of younger-looking, brighter skin. Slather a few drops of this on at night for major moisturisation and a glowing complexion! The star attraction in the REN Keep Young and Beautiful anthology is undoubtedly the Firm and Lift Eye Cream, which gets down and dirty with your crow’s feet, wrinkles and laughter lines, revealing an eye contour that’s smoother and revitalised. Its cooling, gel formula has been enriched with an array of skin-friendly bio-actives extracted from Wheat, Arctic Lingon berries and Essential Oils to gently lift those pesky, tell-tale signs. This little tube will help you shed years off your age, ensuring you can carry on the pretence that you’ve just turned 21 with a straight face. My skin needs radiance! Can REN help? Does your skin have a sallow appearance? Is it uneven in tone, lacking smoothness, and prone to congestion? Do you suffer with open pores and a dull complexion? If this sounds like you, then your skin is crying out for a boost of radiance. Don’t fret though, REN can fix it in a jiffy with their award-winning Radiance Range! For an instantaneous radiance boost, try the Glycolactic Radiance Renewal Mask, a potent bio-active mask that renews by polishing away dead skin cells and wrestling congestion, blackheads and blemishes. This a mask that deserves its accolades and the unwavering love of many, as it’s just so instantly effective with its skin-pepping boost of natural fruit acids and papaya exfoliants. The REN Satin Perfection SPF15 BB Cream is great for an everyday infusion of radiance. Its non-clogging silicone-free, creamy texture has colour adaptive technology ensuring it adjusts seamlessly to a wide range of light-to-medium skin tones. Your complexion will be left looking flawless with an imperfection-blurring ‘HD effect’, and a satin finish without a hint of shine. For best results, apply this BB cream with your fingers in soft tapping motions, as it needs a bit of heat to really sink in. Anything to pamper mind and body? The REN Moroccan Rose Otto range is a compilation of ultra-luxurious products created with the madly indulgent Rose Otto Oil. Did you know that it takes at least 60 roses to make just one drop of pure Rose Otto Oil? A pub quiz fact for you there! The REN Moroccan Rose Otto Body Wash has been the proud winner of the InStyle Best Body Wash award for an astonishing 12 years in a row, and it’s not difficult to understand why. This delicately fragranced wash, infused with Neroli and Chamomile Flower Water, will cleanse, refresh and purify skin whilst releasing the intoxicating aroma of rose, renowned for its stress relieving and mind harmonising abilities. You’ll feel as if you just took a dip in the rose petal infused thermal waters of a Moroccan hammam. Another treasure in the REN body range is the Moroccan Rose Otto Sugar Body Polish, a gentle exfoliator that smells as good as it looks, crafted with unrefined Cane Sugar to buff away dead skin-cells and enhance cell renewal, and blended with Olive and Almond Oils to hydrate and replenish skin post-exfoliation. A dose of caffeine from the Kola Nut kicks circulation into action to energize and revive tired skin. This is a beautiful exfoliator, perhaps the best I’ve ever used. It feels like a real treat, granting you deliciously soft, rose-scented skin – exactly as if you’ve spent an hour getting scrubbed down in a spa! You won’t regret adding this unassuming tub of sugary goodness to your beauty regime. And there we have it. A tour across the REN ranges and a “how-do-you-do” with some of their bestsellers. What did you think? If you’re a REN newbie, or just need some advice about what’s best for you, comment below or tweet me at @EscentualKay. This entry was posted on Tuesday, August 19th, 2014 at 12:04 pm and is filed under Bath & Shower, Shopping Guides, Skincare, Skincare, Tried & Tested. You can follow any responses to this entry through the RSS 2.0 feed. You can skip to the end and leave a response. Pinging is currently not allowed.